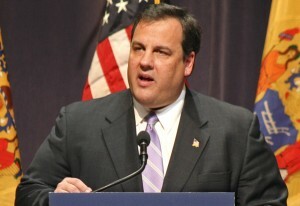 New Jersey Governor Chris Christie is being urged to seek the Republican presidential nomination. There is a genuine groundswell for Christie. Christie seemed to say that, unlike Reagan, he isn’t feeling a call to enter the presidential race. That’s a telling statement that merits unpacking. For Reagan, the call in his heart came from himself, from his country, and from his sense of God’s will. I imagine that Christie, likewise a religious man, is seeking a call from those same sources. Well, as the guy who wrote the book on Ronald Reagan’s faith, perhaps I can help out Christie here. It is correct to say that Reagan felt called by God. But Reagan’s thinking was always more complicated than that. Ronald Reagan spoke constantly, throughout his career, of what he and his close friend and colleague Bill Clark (who had been with Reagan since the California gubernatorial years) called “the DP”—i.e., the Divine Plan. Reagan prayed to discern God’s will, but he knew that discernment is a tricky business. He was happy to place his life and career in “God’s hands,” not knowing where precisely, and when, that would lead him. To cite just one example of many, Reagan felt a call of some sort in 1976, but lost his presidential bid that year. When he lost, he told his family and friends that the loss must have been God’s will. Reagan felt that only in retrospect could one (better) detect God’s intent. He learned this as a boy from his mother. It never left him. “God had another plan,” Reagan later put it. That plan, that divinely laid “fork in the road” that his mother always talked about, apparently included winning the presidency in November 1980, getting shot in March 1981, taking on the Evil Empire, standing at the Berlin Wall, meeting with Gorbachev and Pope John Paul II and Thatcher and Walesa, and on and on. What Reagan possessed was a strong sense of good vs. evil, right and wrong, and, most significant of all, recognition of the need to respond to a nation (or at least a political party) that was calling him. Now, contrast this lesson to that of another New Jersey governor, another presidential candidate, from precisely 100 years ago—with an amazingly similar trajectory to Christie’s. Newly elected New Jersey Governor Woodrow Wilson, a Democrat and progressive’s progressive, had been governor for only one year in 1912. Suddenly, he was being pursued by his party to seek the presidency and dislodge the Republican incumbent from the White House. In a wide open race, Wilson was poised to persevere. Wilson, a devout five-point Calvinist with a superb command of Reformed theology and an unwavering belief in predestination, never shied from confidently interpreting God’s will. Modern secular liberals neglect that this progressive icon had an extremely rigid perception of the hand of Providence, of being “chosen.” He was adamant that he could accurately construe God’s plan, whether as president of Princeton, governor of New Jersey, president of the United States, or author of the League of Nations—the latter of which, Wilson believed, was God’s intent and he was God’s instrument to make it happen. Anyone who opposed Wilson in his religious sureness was judged a malefactor working against God’s resolve. In 1912, Woodrow Wilson concluded that God wanted him to be president. Would today’s conservatives, who strongly dislike Wilson, agree that Wilson was right in seeing God’s hand guiding him? Would Gov. Christie agree that Wilson had correctly answered a direct call from God? Conservatives would beg to differ. (Would liberals?) As for me, I won’t hazard a guess. My point, however, is that some leaders feel a call—particularly from Divine Providence—and some do not. What may be most important for a leader is to respond to the call of leadership when he feels a nation is hungering for it and for him. Governor Christie may not ever feel a call from God to be president. But he may be getting a call from his party and from America. And that may be the voice he needs to heed right now. Humility, an aspect of which is the allowance for the possibility of being wrong, is an essential virtue for discerning a call from God. From what I read here, it looks like Reagan and Christie have humility, while Wilson did not. Right-on! PrairieHawk, don’t forget humor which gives discernment, not the one discerning, the upper hand. Frankly, I’m tired of all the calls for a great leader. Did we not fight the king and win? Do we not have three branches of government under a Constitution? Do we not call ourselves the “Land of the Free and the home of the Brave”? Israel cried out for a great leader and got King Saul. What of all the corresponding nations to the names cited in the article. Gorbachev’s Russia is now Putin’s Russia – no improvement. Thatcher’s England is now in shambles. Walesa’s Poland struggles with exactly the same problems. The only one who left a lasting mark is the Great JPII. He had humility and a godly smile on his face. He thought of himself nothing more than the engravement on his ring.